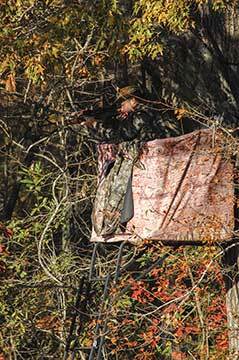 by Michael M. DeWitt Jr.
Every once in awhile, bagging a big buck in October might be a matter of luck - right place, right time - but more likely, it's the result of hours of planning and work in the "off" season. FREEZE! Savor this moment. Before you conquer that trophy-buck challenge and bring that tasty venison home, take a minute to reflect on the many hours of preparation that got you, great hunter, to this glorious occasion. Because it's very likely you didn't just "luck" your way into this moment of success; in fact, you probably spent months preparing for it, because for the truly dedicated, deer hunting is a 365-day affair. 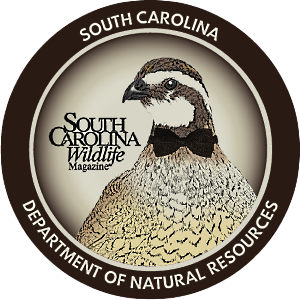 "It is kind of a never-ending cycle," says Charles Ruth, a S.C. Department of Natural Resources wildlife biologist and the state's deer and wild turkey program coordinator. "You are planning strategy. You are always learning about where deer are bedding and feeding and their travel corridors. If you are really an avid hunter, it's always gnawing at you: how can you increase your chances next year?" So instead of sitting around the lodge just yearning for opening day, here is what you can, and should, be doing to prepare, year-round. January/February: Evaluate last season's productivity. Learn something new about your property and your deer population by walking and scouting. Start maintenance work on blinds and other equipment. For Jim Boone and his staff at Red Bluff Lodge in Allendale County, January is a time to take a few short days of vacation before starting the cycle again. Red Bluff is a 4,000-acre preserve that hosts more than three-hundred deer hunters per year. If you want to learn about sweaty, roll-up-your-sleeves prep work, spend a day with professionals like Boone. Red Bluff Operations Manager Henry Fischer likens it to a work camp. "It's never ending, right up until the season stops, and then we start over," says Fischer. "You wouldn't believe how much work it takes to maintain a hunting operation like this. If you have a teenager who is causing you problems, just send him here. We call it Jimmy Boone's Boot Camp. You are guaranteed to lose weight and not have sleeping problems." The months of January and February are also good times to scout for travel corridors and beds, which are much more apparent in the dead of winter when leaves are down, says Ruth. 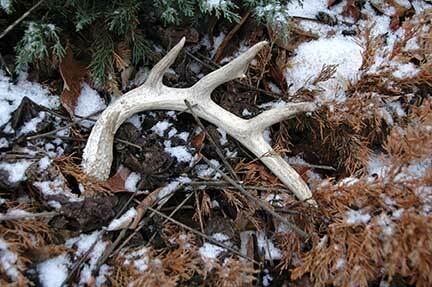 Some enjoy "shed hunting" during these months to at least find out where the big bucks were. Some like to feed their deer year round, but that can get expensive. You may want to claim them as dependants on your taxes. Others like to keep game cameras out in the off season. On the farming side, prune, plant or transplant your fruit trees now for wildlife. All of these activities are great for the entire family to enjoy! March/April: Clean up winter's mess and start getting your soil ready. 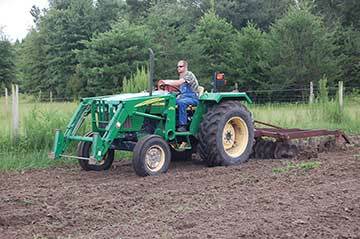 Begin planting for summer forage crops on your food plots. The earlier you can safely avoid frostbite and get your forage plots or deer corn in the ground, the better. If you are not too bogged down in turkey season, Ruth advises this is prime time for field work like discing or bottom plowing your fields and food plots and soil prep work such as applying additives like lime and fertilizer to your soil - otherwise that $100-a-bag fancy food plot mix won't do you much good. Been itching to set fire to something? March is a great time to burn, but be sure to follow S.C. Forestry Commission guidelines. Had any river flooding or winter storms? Now is the time to begin cleaning up Mother Nature's angry mess. Spring plantings will provide forage for the summer, but keep in mind that these early crops could play out or be wiped out by hungry deer populations before opening day, says Jimmie Polk, co-owner and hunting guide at Legacy Hunting LLC, a four hundred-acre plantation in Hampton County. 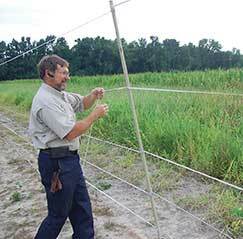 If you are looking to preserve a patch or two of forage for later in the year, or set something aside for dove, quail or other game, this is a great time to roll out that trusty electric fence or invest in some chemical warfare such as the "Liquid Fence"-style deer repellents. But a word of warning from someone who learned the hard way: some of those concoctions smell so potent that the side effects range from sleeping outdoors to quickie divorce if you get them on your clothing or skin. "If you get Liquid Fence on your arm, you'll want to cut your arm off it stinks so bad," Polk says. "But it will keep the deer out - big time." If you are really into environmentally friendly solutions, Polk also recommends using commercially-available fertilizers which contain human or animal wastes, to both improve your soil and deter deer. And if you run short, he adds, there always seems to be a lot of "bull manure" available around his hunting lodge campfire. May/June: Complete most of your planting. Release your inner carpenter/handyman and get down to business with building new stands and repairing the old ones. April showers bring May flowers, and if you bring your lady some roses, maybe she won't begrudge you spending many blissful hours on your tractor now. 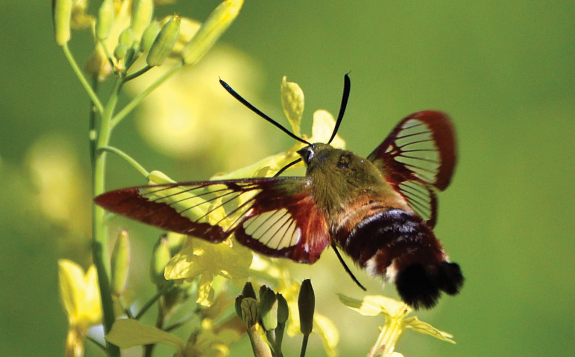 Ruth suggests that, for those habitat managers who have food plots, May through July is the time to plant warm season forages like soybeans, cowpeas, iron clay peas, buckwheat and American vetch, also called aeschynomene, a legume that packs a lot of protein but can stand a great deal of grazing pressure. Early May is also a great time to plant sunflowers, millet, sorghum and corn for your dove fields. June is a great month to construct new deer stands and undertake repair work around your hunting property. While it is tempting to begin landscape and trim work in May, before it gets too hot, you may find that the vegetation grows back by opening day. June and July are usually the best months to begin clearing vegetation around stands or shooting lanes. July: Finish warm season planting. Sight in any rifles or other weapons that will be used during the season. 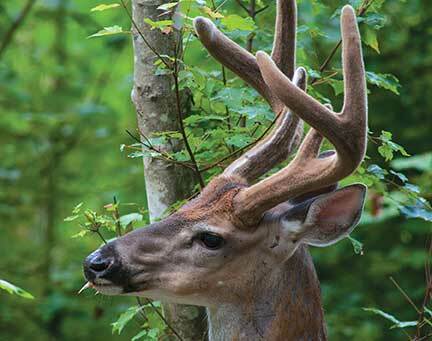 Start checking game cameras to pattern deer movements around your stands and food plots. If you haven't finished your warm-season planting, you really need to wrap that up before July Fourth vacation. Both late July and early August are fine for planting short-term crops like cowpeas. On Independence Day, instead of just shooting off fireworks, begin sighting in those rifles or compound bows. July is also the time for stand repair work, relocating stands, checking the ladders and safety features, and re-installing and replacing the covers and skirts on your stands. "From a club standpoint, you could spend a whole lot of time on this - but it will determine how successful your hunt will be in the fall," said Ruth. "I admit, I do a lot of stand preparation and checking in May, when it's cooler, but the only cautionary note there is that you might have to go back and recheck them. A lot can happen in a couple of months." Like a family of red paper wasps moving in, for example - not a good thing to discover fourteen feet off the ground at pitch-black 5 a.m. on opening day. August/September: Finalize your strategy for asking for days off from work. "Butter up" the spouse to build up a reservoir of credit for those upcoming missed Saturdays around the house. Balance fall planting with early hunting. Make sure all required hunting licenses and permits are in order. The season is finally here. 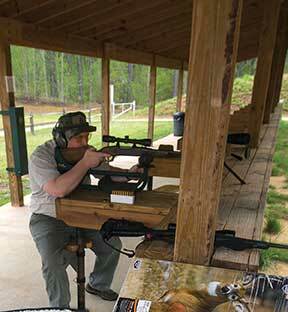 It's still hot, though, so it's a good time to bush hog your trails and shooting lanes one final time. You've handed the boss a lengthy list of vacation days you wish to take - all coinciding with factors like wind direction, moon phases, the peak of the rut and doe days - and your spouse is going around the house dressed in mourning black, wailing and gnashing teeth. At this point, you could give some thought to keeping your job and strengthening your marriage ... or ... once opening-day fever wears off, you could start planning your fall food plots. "So [after opening day] you've still got planting to do in addition to hunting," says Ruth. "That can keep you busy during the late summer." Small grains like wheat and oats are a relatively inexpensive option, and small grain/clover blends are considered the "gold standard" for cool season food plots. Around Labor Day you can also begin planting greens such as turnips or kale, which get even sweeter as winter frosts increase the sugar content in the leaves - Ruth recommends brassicas. Many of your small grains and clover will also carry over the winter into turkey season. Once the season opens at Red Bluff, Fischer and his staff are in full battle mode and busy inserting and extracting hunters and scattering deer corn on a daily basis. With active stands covering eighty-plus miles of trails, "corning" is usually an all-day chore. And about every three days or so, staffers pull trail camera cards at feeding stations to monitor deer movement. 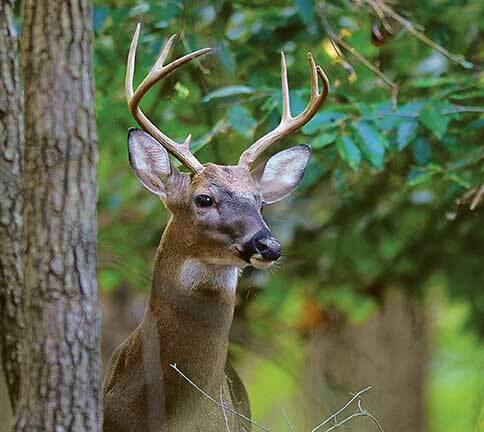 Around Labor Day, as bucks begin shedding their velvet, hunters should begin looking for scrapes and rubs. You should start seeing a lot of buck sign. And that's when the action begins to really heat up. October: Watch out for amorous, love-struck bucks. Gather much observational data and many trophies. In most of the state (except for the mountains), October brings the start of the fall breeding season, and that means an increase in deer movement and usually better hunting. Temperatures are cooler, acorns and other types of mast are falling like manna from heaven, and does are no longer playing hard to get - it's truly a magical time in the forest for everyone! "For most of the year, deer are kind of lying around, being fat and sassy, but all that changes beginning in September," Ruth said. "In order to have great hunting, you've got to have deer moving well. Deer move for two reasons: food and reproductive opportunities. And by October you have both of those factors operating." With all planting and prep work behind you, from October to December you are basically just in full-on hunting mode. Every time the spouse sees you, you're wearing camouflage. Old friends think you've snubbed them because you haven't returned a call in weeks, and you are on the boss's Ten Most Wanted List for chronic truancy. But this is also the best time to be gathering observational data - both from the deer you harvest and the ones that get away. 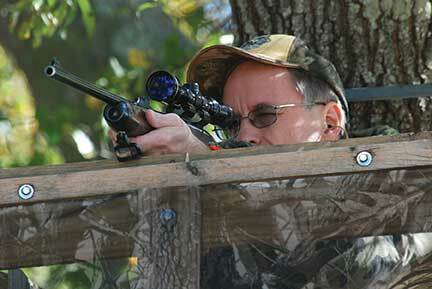 Observant hunters can record a great deal of useful information during prime hunting months. "If you are serious about deer management, you are going to want to weigh your deer, check antler measurements, pull jawbones and check does for lactation," says Ruth, "But then again, this depends on how deep you are into deer management." Camera surveys and observational data are more important now than ever before because of coyote predation. If you suspect you have a problem with coyotes, you and your fellow hunters can record the number of bucks, does and fawns spotted during the season to help determine your doe-to-fawn ratio. This can help you make crucial decisions later in the season to dictate your doe policy and overall harvest policies for the coming year. November/December: Enjoy quality family hunting trips. Eliminate as many coyotes as you can. Ah, the holidays are here: that special season when you spend lots of time "shopping" for that perfect venison back strap or deer ham for Thanksgiving or Christmas. December is also a key time to watch out for unwanted guests like wild hogs, coyotes and in-laws. But you can get those relatives out of the house by organizing some family hunting trips during holiday vacation time. It's a grand time to keep old family traditions alive or begin new ones. 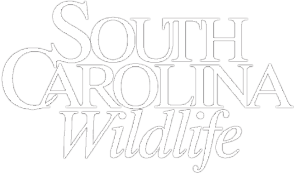 And while any month is a good month to get rid of wild hogs, South Carolina's coyote trapping season runs December 1 to March 1, and wildlife biologists urge anyone concerned with coyote predation to take advantage of an opportunity that is even more effective than shooting. 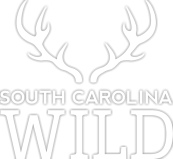 "A lot of hunters in South Carolina are harvesting coyotes incidentally to deer hunting," says Ruth. "Certainly you could try predator calling and decoys as a recreational activity, and certainly shoot them whenever you can, but trapping will get you farther down the road. From a management viewpoint, trapping is the most effective way [of controlling coyotes]." Now let's get back to that deer in the glade. There it stands, even more magnificent in person than in your dreams - massive, with a thick neck supporting the most awe-inspiring rack you've ever seen. After a brief final pause, to thank the Creator and calm your nerves, you are ready to make the harvest. Go ahead. Squeeze the trigger. After twelve long months of hard work, you've earned it. When he is not working on his deer stands, food plots, or his marriage, Michael M. DeWitt Jr. is editor of the Hampton County Guardian newspaper.